Even though Rahul Yadav, the CEO of realty portal Housing.com has withdrawn his resignation and apologised for reportedly calling fellow board members and investors 'intellectually incapable of any sensible discussion', it is but obvious that SoftBank will be running the show at the real estate start-up that was founded in 2012. Housing.com, which is backed by Japan's Softbank, said its board has been reconstituted to include all main shareholder representatives — SoftBank, which has a 38 percent stake in Housing, Nexus and Helion. In December last year, Housing.com received $90 million funding, led by Japan's SoftBank, valuing the portal at about Rs 1,500 crore. According to a report in the Economic Times, Yadav will stay on as the CEO of Housing, but a committee of five headed by SoftBank's representative on the board Jonathan Bullock will oversee all major decisions. In short, Yadav's wings are clipped and Bullock is a replacement for Nikesh Arora who quit the Housing.com board last month. Meanwhile, the board has reaffirmed its faith in Rahul Yadav's vision for the growth of the realty portal, Housing.com said in a statement. "After some frank and healthy discussions with the Board, I have agreed to withdraw my resignation and I apologise for my unacceptable comments about the board members," Yadav said. He added: "I look forward to staying on at Housing as CEO and building an even greater company, while working in full harmony with the board". Yadav, the 26-year-old co-founder, had reportedly written a resignation letter on April 30 to board members and investors questioning their "intellectual capability" and giving them a one-week deadline to "help in the transition". ET quoted sources present at the board meeting that as saying that SoftBank's Arora was not present, but his replacement on the board Bullock reportedly told investors, "I don't want SoftBank to be known for ousting founders". Bullock will reportedly stay in Mumbai for a few days to better understand Housing's functioning and operations. The controversy around Rahul Yadav was initially triggered with his alleged e-mail to Sequoia Capital India chief Shailendra Singh in which Yadav had alleged that Sequoia was looking to lure Housing.com’s employees away. 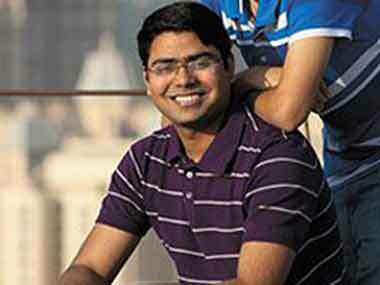 Following the spat, reports emerged that Housing.com investors could move against Rahul Yadav for his outburst. Yadav did not back down and was quoted as saying that he wasn’t being moved out and investors didn’t have any say in any call in the running of the company. So why did the board take Yadav back despite his emotional outburst? An investor in Housing.com told DNA that "Yadav is eccentric but brilliant. This is the reason investors are going the extra mile to accommodate his high-handed attitude." The investor further told the paper that this wasn't the first time Yadav resigned. He has in the past acted impulsively, had a spat with investors, resigned and then taken his resignation back. Little wonder that Yadav sent an email to his employees with the subject line as 'Just another day at Housing,' "I am still your CEO. Have fun : )." While it may seem that the issue may have finally been settled with Yadav's resignation being withdrawn, the fact is that this has hurt Housing's brand image. Differences between investors and founders are not uncommon, but in this case both the promoter and the investor have shown immaturity, say industry experts. "For Housing.com, this is a slur. This is a category that depends very heavily on transparency, integrity and ethical behavior. Housing.com needs to correct its imagery on this count. And it needs to do it fast, as in eSpace, damage is done fast and quick. The good thing is that correction can be attempted quick and fast as well. eSpace can damage you fast, it can correct your reputation fast as well," brand expert Harish Bijoor told Firstpost. The bottom lime is that this CEO-board conflict should not have spilled on to the street given that Housing.com already has a history of skirmishes. "Childish behavior is tolerated more in the geek world where Bermudas mix well with bemused spectacles. But when a company’s crossed the puberty stage into being funded, the fun needs to be confined to quirky marketing ideas or at best edgy company parties. Any more is dangerous for growth," Dilip Cherian, communications consultant and founder of Public Relations told Firstpost. Cherien believes the entire episode may have succeeded in reconfirming a long-held conviction in the public’s mind about the unreliability of start-ups in general. "Such antics will only make the people more wary about new ventures and the quality of entrepreneurs who run them and the results (outside of valuations) they will deliver to real-world customers," he added. Others believe that Yadav will now have to really prove himself. "Rahul Yadav has perhaps used up a lot of goodwill, even when you take a forgiving view of young entrepreneurs. His next perceived misbehaviour will not be taken lightly by the start-up, investor and business community, and he now has to vastly outperform to redeem his reputation. Many founders have reputations as arrogant people - that by itself is not bad. Steve Jobs and Zuckerberg were among them - but they had exemplary performance that helped balance out their perceived arrogance. That is his challenge today. Can he justify his attitude with his performance? asks Mahesh Murthy, a start-up investor and advisor to brands.